Two compact looking smartphones are looking to arrive this summer for T-Mobile UK which may not be all about the supreme high-end devices out there. First up is the Sony Ericsson Xperia X10 mini pro that shrinks down the dimensions while retaining most of the looks of its bigger brother – the Xperia X10. The Android 1.6 device, which is looking to be upgraded to 2.1 some time in Q4, is expected to come in during the middle summer month of July. 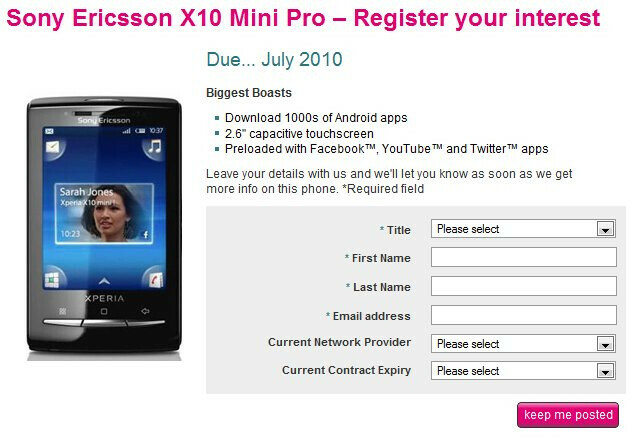 That's according to its T-Mobile UK web page where future owners can sign up for email updates regarding the handset. 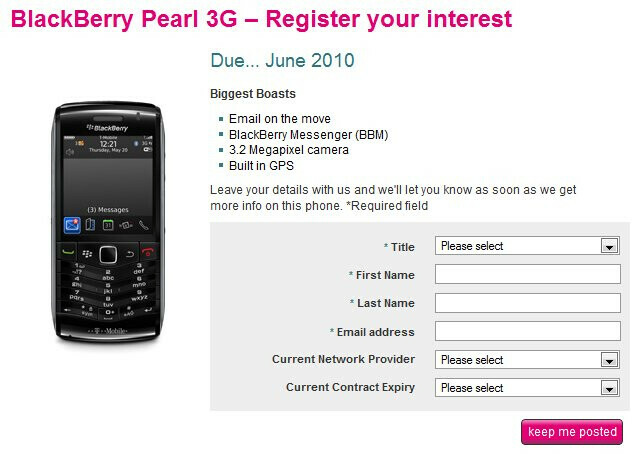 If Android isn't your kind of platform and prefer the business centric platform of the BlackBerry OS, then you may want to check out the BlackBerry Pearl 3G with its slim and updated new looks. This handset will be making its arrival a bit sooner with a launch expected to happen in June. Both devices will surely add to T-Mobile UK's lineup for this summer, but there is no word yet surrounding pricing for either handsets.